Our private lessons give you personal instruction in our shared ballroom. This type of lesson is helpful for you or you and your dance partner if you are learning for a special event or want to improve your dancing at a faster pace. Private lessons aren't just for the pros. If you're new, but still want that individual attention to get to your ideal level, we have options for you! Private lessons are designed and tailored specifically for you. For new students, we offer a 30-minute Introductory Private Lesson to see if it is right for you. Group classes are a great way to get your body moving while exploring different types of dances and step patterns. 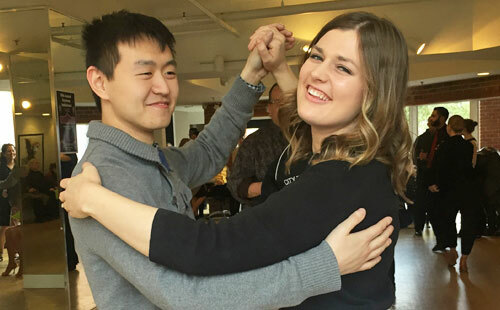 You'll meet new friends and learn how to dance with different partners, a key element to social dancing. No partner? No worries! Bringing a partner is not necessary for class, we rotate to ensure that everyone gets a chance to dance with each other. Looking for someone to coach you through some signature moves for your big day? 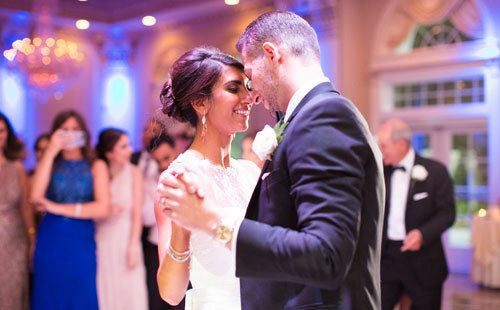 We pride ourselves in helping couples realize their wedding dance dreams and goals, regardless of whether they are professionals or first-timers. No matter if you want a classical first dance or a choreographed show-stopper, we collaborate to pick the perfect music and coinciding steps to leave your guests in awe. We've even been awarded the Best of Weddings 2017 by The Knot. Are you a competitive dancer in need of coaching? We offer both competition and showcase opportunities, and the best training in the business. 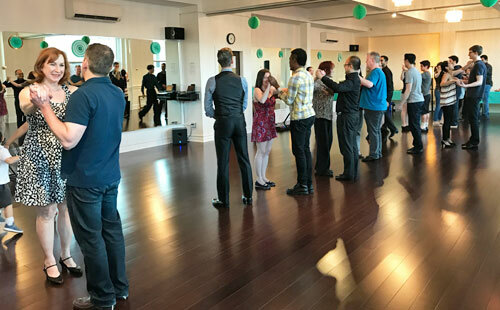 With our personalized instruction, you'll be dancing better than you ever have before - with an entirely new group of people to cheer you on along the way. Call us at 201-969-6260 anytime to schedule a tour of our studio to see if we are a good fit for your wedding dance lessons. We also offer our beautiful studio as a venue for wedding rentals.